“What started off as an initiative for the homeless actually has sort of blossomed into a service for the full city, as well as a jobs program for the homeless," he said. Larry Nunnley is a monitor at one of the program’s portable bathrooms. Nunnley was once homeless himself and says getting a job through the bathroom program helped him get back on his feet. Although the program was designed to help the homeless in downtown, he says the restrooms are not just for those living on the street. “Police stop here, bus drivers stop here, people from the government building stop here too,” he said. Construction will begin on the first permanent bathroom next to the Flagler Street Metrorail station in October. Funding will come from Miami-Dade county, the city of Miami, and the Downtown Development Authority. 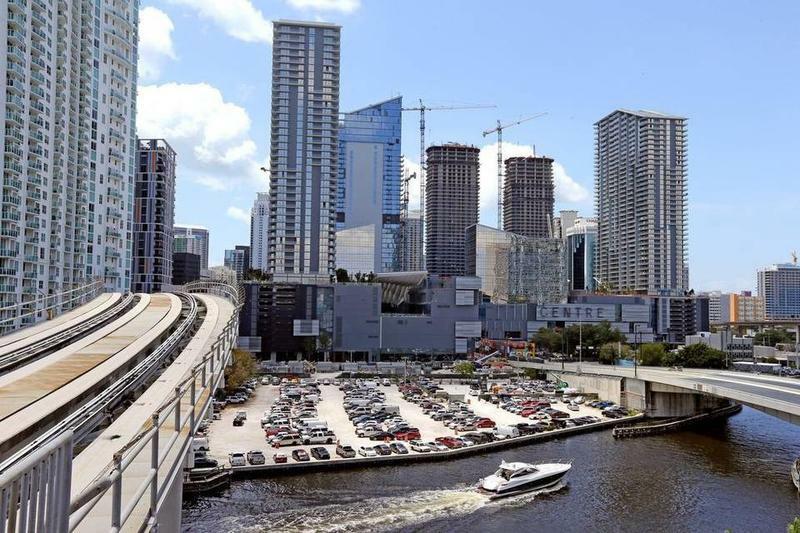 A massive new mixed-use development in Brickell is nearing completion and promises an improved downtown pedestrian experience. Brickell City Centre, a 5.4-million-square-foot complex, includes luxury condos, office space, hotels and a shopping center. The development is fully funded by the Hong Kong-based Swire Group, which has taken an innovative approach to access, including an already completed underground parking structure which stretches for five city blocks.